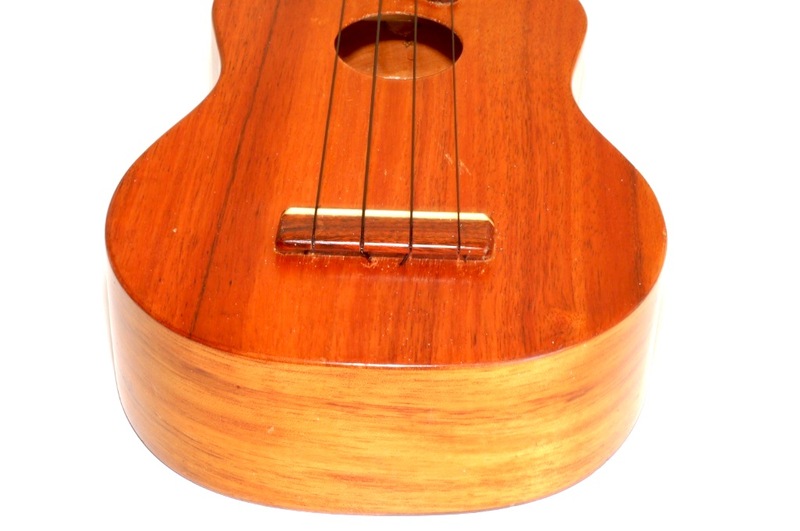 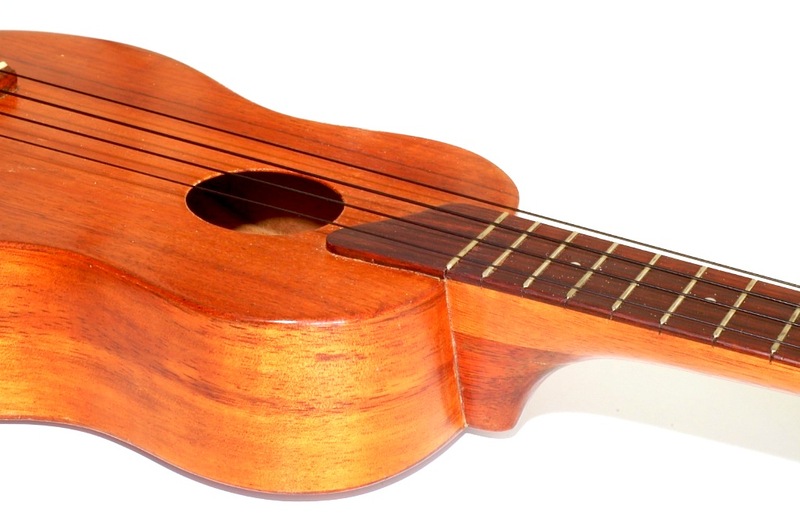 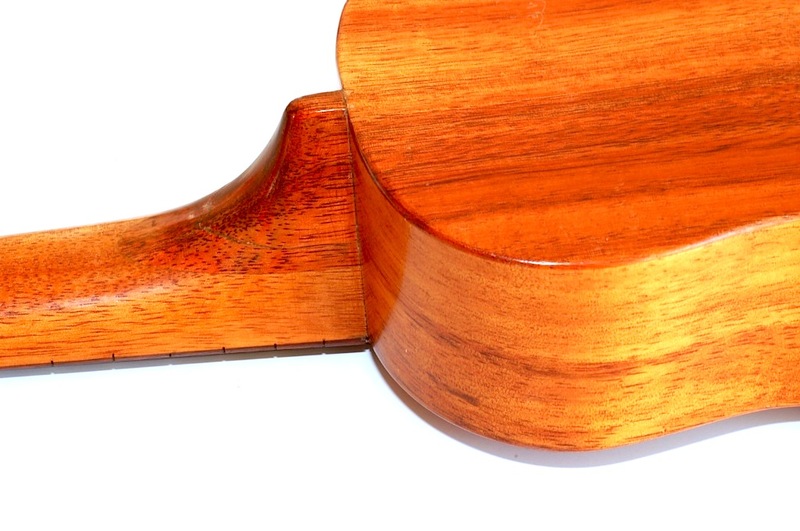 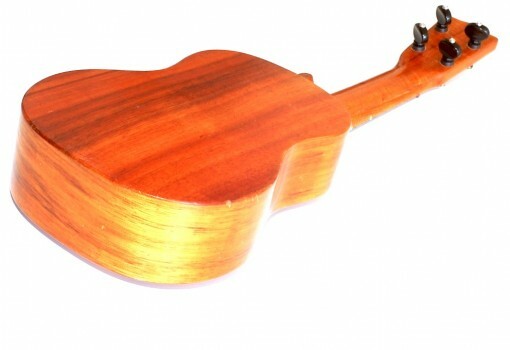 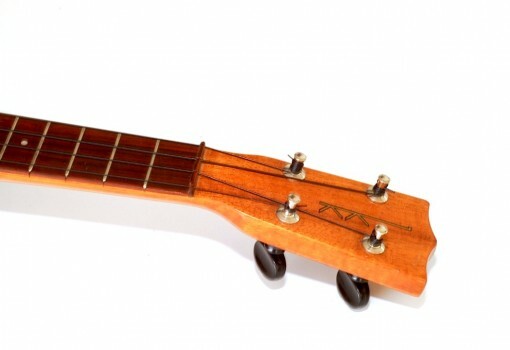 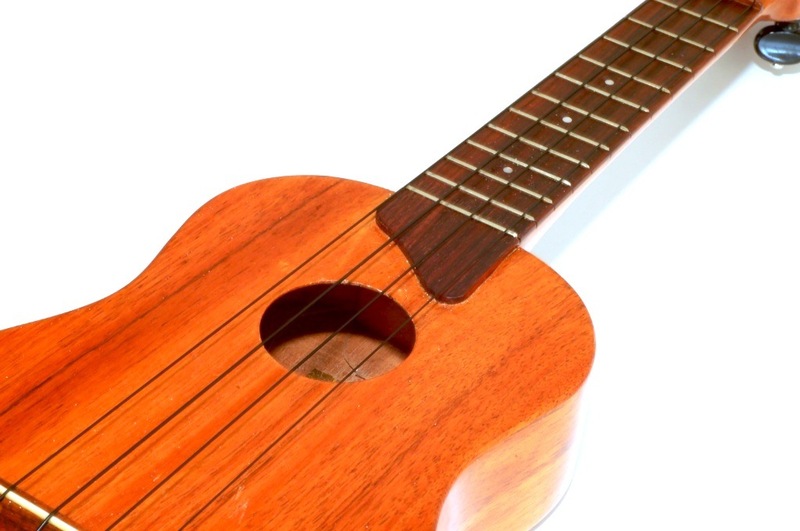 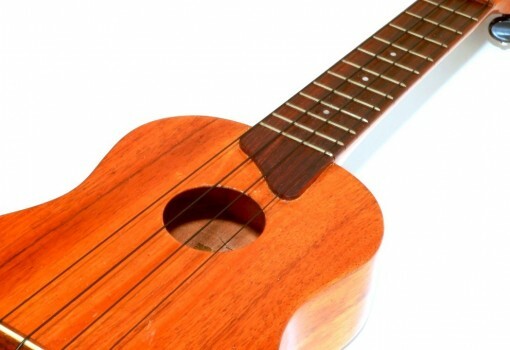 Kamaka ukuleles are one of the most well-known and respected ukulele brands still in existence today. 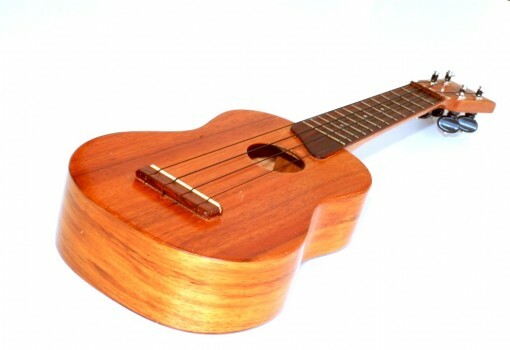 The company was founded by Samuel K. Kamaka (Sam Sr.) in 1916, who began his career as an apprentice to Manuel Nunes, one of the original ukulele makers from the 1880s, and the business still remains in the Kamaka family to this day. 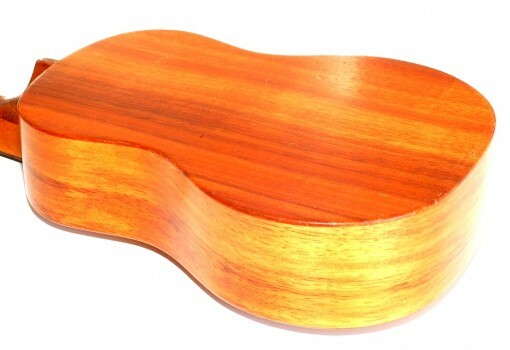 Kamaka were the only Hawaiian ukulele makers to make it through the war years and are now more widely known than ever before. 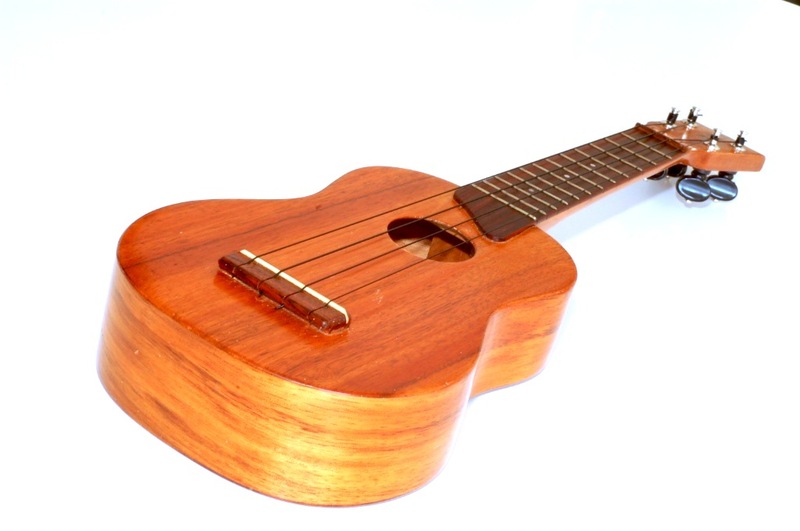 Their renaissance has largely come about from the endorsement of the legendary Jake Shimabukuro. 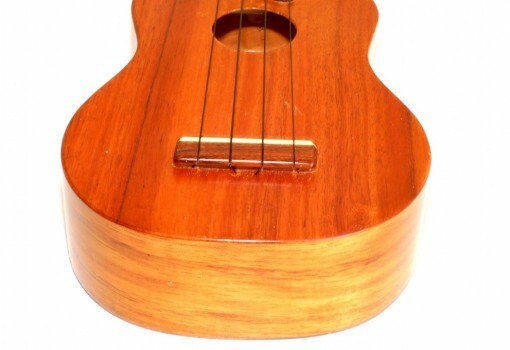 This beautiful Kamaka Standard (Soprano) gold label ukulele is in good condition, with some minor scratches, a repair near to the heel, and dates from the late 1950’s. 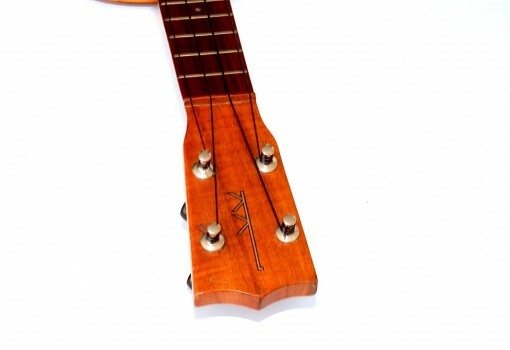 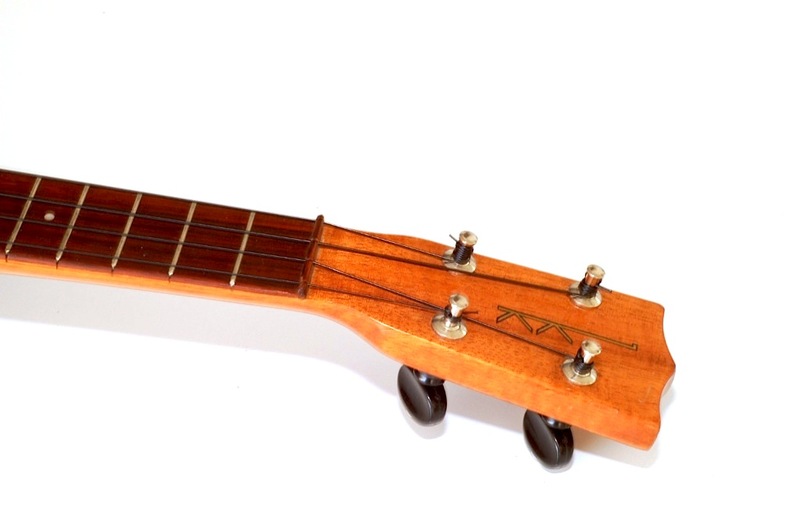 This solid koa model features a gold label inside the soundhole bearing the words ‘Kamaka Ukulele’ in black and red lettering, matching the font of the patented gold and black ‘double k’ decal on the headstock. 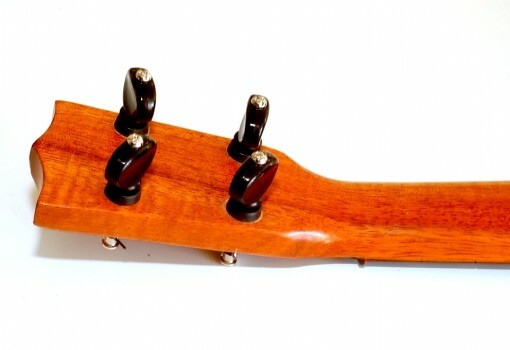 This ‘KK’ symbol was introduced by Sam Jr. on all Kamaka headstocks in 1958, after he took over his father’s business. This stunning koa ukulele features 12 frets and the trademark curved fingerboard extension, a common feature of vintage Kamaka models.